Venezuelan violist Adriana Linares is one of today's most talented Latin American artists. Her playing has been called "meltingly beautiful" by Naxos label reviewers. Ms. Linares was the first prize winner in the Latin American Music Competition at Indiana University, the Kuttner Quartet Competition and the Solo Viola Competition at Indiana University, which earned her the honor of soloing with the Indiana University Symphony Orchestra. Ms. Linares is described by Grammy Award-winning violist Roger Tapping as "a violist of extraordinary merit and ability who is not only excellent but also distinctive, characterful and individual." 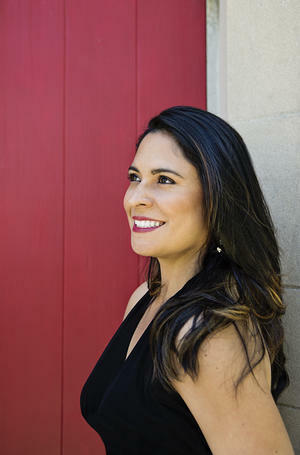 Highlights of solo engagements include her debut at Carnegie Hall with the US première of Venezuelan composer Modesta Bor's Sonata, as well as solos with Arcos Juveniles de Caracas Orchestra, Virtuosi de Caracas, Middletown Symphony, the Illinois Philharmonic and the Philadelphia Virtuosi Chamber Orchestra, with whom she performed the world première of Howard Hanson's Summer Sea Side #2, recorded under the Naxos label. Ms. Linares is the President, Founder and Artistic Director of ArCoNet, The Arts & Community Network, a nonprofit organization based in North Wales, PA. Ms. Linares has launched many programs under the umbrella of ArCoNet, including a string academy with 120 students, a youth and chamber orchestra, intensive solo boot camps, the Dalí Quartet International Music Festival, community outreach partnerships, college preparation programs for local and international students, junior string camps, concert series, and preschool programs among others. An active chamber musician and recitalist, she has collaborated with violinists Anthony Marwood and Alexis Cardenas, clarinetist Ricardo Morales, pianists Alessio Bax, Olga Kern, Vanessa Perez, and Gabriela Montero, cellists Natasha Brodsky and Bonnie Hampton, and violist Marka Gustavasson. Ms. Linares is the founding violist of the Dalí Quartet, with whom she has embarked on recording and performing projects in the US and abroad. She serves on the faculty at West Chester University as part of the Dalí Quartet residency. She is a member of the IRIS Orchestra, SATORI Chamber Players, and the Harrisburg Symphony Orchestra. Ms. Linares holds a master's degree from Temple University, where she studied with violist and Curtis Institute of Music President Roberto Diaz. She also holds a bachelor's degree from Indiana University where she studied with distinguished violist Atar Arad.